What does it take to be a happy and healthy city under the beautiful sun of tropical places? 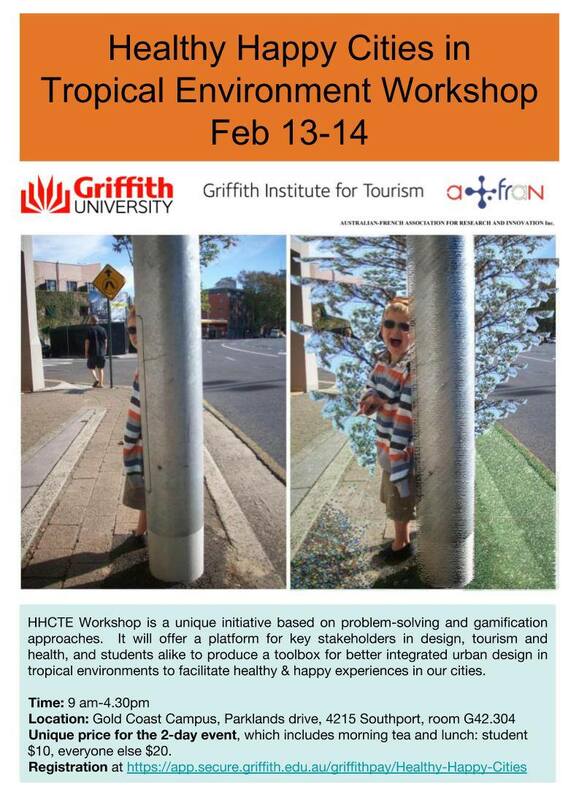 This is what we will discuss this week (13th and 14th February) at Griffith University in the Gold Coast at the Healthy Happy Cities in Tropical Environments Workshop (HHCTE). The intention of this initiative is to offer a platform for everyone interested in design, tourism and health, to come together and produce a toolbox for better integrated urban design in tropical environments. The workshop will focus on problem-solving and gamification approaches to facilitate healthy & happy experiences in our cities. The organisers are Pierre Rosier, Karine Dupré and Jane Coulon, and David Sellars and I from James Cook University will deliver presentation on the relationships between environment and health and integrated urban design, respectively. Below is the opening slide of my presentation in a tweet I shared this week.